By November 24th we had completed nine days of pre operational training and were ready to join the other companies of 6 Royal Australian Regiment (RAR)/NZ (ANZAC) Battalion that had been in theatre for just over six months. At that time they were deployed on Operation Ross in an Area of Operation (AO) known as Linton. On the 24th we air assaulted by Iroquois helicopters into An Thuan Bien with the task of re-searching the area of the padi fields south of Xuyen Moc. Everyone was very keen but at the same time cautious. We didn’t have to wait long before the first report of a contact was signalled to company headquarters. On our second day out Lt Bill Blair’s 1 Platoon was setting up an ambush when a lone Viet Cong (VC) surprised the sentry and was able to make his escape minus his pack. We don’t know who got the biggest fright but it quickly reinforced the need for constant alertness and the doubling of sentries to give soldiers the reassurance that they sometimes need to open fire. During the next five days all platoons found signs of the enemy in the shape of abandoned camps, caches and tracks. It was a good settling down operation and we were confident that we would give a good account of ourselves in the days ahead. The company was moved into Fire Support Base (FSPB) Discovery to prepare for the next operation. Our next operation was code named Marsden and planned for the AO designated as Gulliver. The AO lay astride the main VC approach and resupply routes into the Phuoc Tuy Province from the North. Of particular interest to our Australian CO, Lt Col David Butler, was the Nui May Tao hills to the east of the allocated AO. 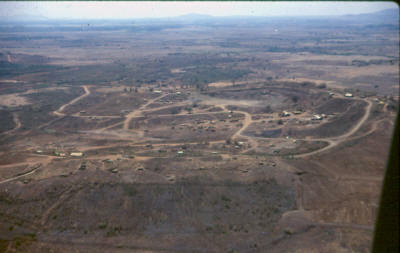 For some years these hills had served as a logistic and supply area for the VC. The intelligence indicated that we might be onto something big in this area and all the company commanders were keen to have a piece of the action. I remember being very disappointed when the company tasks were allotted. We were being sent off in the opposite direction to everyone else. Obviously, as far as the CO was concerned, this was a job for the old hands and the new boys would have to wait their turn. The operation began December 1st with our company being airlifted from FSPB Discovery to the newly established FSPB Picton in AO Gulliver. When we landed FSPB Picton was still in the throes of being developed. Everywhere you looked there was a hive of activity. With so much air activity the area was a constant dust cloud. We all looked up in amazement through the haze when the first Sky Crane helicopter appeared carrying a bulldozer suspended on steel wire ropes. It looked like a giant praying mantis carrying some prey that it had plucked off the ground. Such was the down draft and dust that we decided to move our perimeter defence further away from the developing base. Our initial direction of movement was to the southwest towards the Song Rai and Suoi Loc streambeds. The terrain was fairly flat but difficult to move through. The area had been defoliated some time earlier, probably with Agent Orange, and the secondary growth was thick and matted. It was very hot and shade was limited. The sooner we got into the shade afforded by the natural trees the better it would be for everyone. We didn’t have long to wait before the first incident reports started to roll in. Lt John Fisher’s 3 Platoon was first off the cab rank with reports of recent enemy presence and the finding of caches of grenades, mines, and Bangalore torpedoes (explosives in a long pipe and used to blow a path through wire fences and minefields). Once we reached the Song Rai we changed direction and followed the line of the stream to the north. It was on the Song Rai that we made our first major contact with the VC. 1 Platoon drew first blood and when the firefight was over three VC had been eliminated. Hardly a day went by without some form of incident. Our first medical evacuation by air in an Iroquois air ambulance codenamed “Dustoff” was for a soldier with a poisoned foot. Then there were the discovery of bunkers, camping equipment, ammunition, more mines, food and documents. There was never a dull day. On December 11th a reconnaissance patrol from 2 Platoon, led by Sgt Dave Heywood, came across an enemy camp late in the afternoon. They reported fires, the smell of cooking, and the sound of female voices and estimated there could be 30-40 occupying the site. We decided to attack at first light from one direction and use the artillery and helicopter gun ships to cover possible escape routes. The assault resulted in one VC killed and the capture of numerous weapons. The enemy had a well-concealed escape route along the dry riverbed and was probably making their escape by the time that we launched the attack. When it was all over the gun ships hovered over our position for some time and appeared reluctant to leave. Our company radio operator, Cpl Peter Glendinning, called me over to the radio and informed me that the pilots wanted to know whether they could get their hands on some of the AK47 rifles that we had captured. I promised them that I would look into it when we returned to base. I didn’t have the heart to tell the American pilots that trading captured weapons was a big no-no in the Task Force. We later found out that the group in the camp came from the Ba Long Rear Services and the Ba Long Province Procurement Section. After the assault we continued to patrol and search the general area of the camp without finding anything of significance. As a result we were redeployed by helicopter to an area east of the Nui May Tao hills to follow the movements of B Company. At the same time 1 Platoon was given a separate task of moving to FSPB Picton to assist with its security. We were tasked to check again and see if we could locate a reported prisoner of war camp and munitions factory. Intelligence information had suggested that some USAF aviators could have been held captive in the area. Documents that we found indicated that there could have been installations of these types in the area, but nothing of real importance was discovered. We stayed in this area conducting patrols and ambushing until December 27th when we were extracted by helicopter to Nui Dat. The extraction brought Operation Marsden to a close. During Operation Marsden I recorded these general observations that at the time were interesting: There was no water available from local sources. As a result all water had to be airlifted in four-gallon plastic jerry cans. The days were very hot but the temperature plummeted at night. I had to use a blanket in the early hours of the morning! Days went by with much the same routine and as a result we had difficulty remembering whether it was Wednesday or Sunday. Our signallers always knew so they ran the company headquarters guessing competition as to which day of the week it was. Our field rations were excellent. On resupply day we would get a hot meal from our own cookhouse and a mixture of American and Australian dry rations to see us through to the next resupply. I was amused that even cigars were available for those who wanted them! On Xmas day we were in the field. War like activities were reduced to a minimum to take advantage of parcels provided by the good folk of Raglan in the Waikato. On December 27th I spoke to the whole company soon after arriving back in Nui Dat. This is what I said taken word for word from my Field Message and Notebook (Aust Military Forces (AMF) AAB 64. “Congratulations on the way you have worked during the past 34 days of our first operation – and I include our cooks, Q staff and the base element. Perhaps not as successful as we would have liked, however judged on the standards set by our predecessors it is well up there. During this period of backslapping I wish to issue a note of warning. Far too many of you still look upon the operations as an exercise – you must be constantly aware of the VC threat. Talking, coughing, banging mess tins and unnecessary loud chopping and digging noises all too frequent. Make a point of cutting down the noise level. General security – bunching, sentries not alert and “coffee housing” – we need to improve. Handling of firearms and explosives – no unauthorised discharges so keep it up – look at the placement of grenades on your webbing. Speed of movement – a command problem to control but endeavour to cut down the speed of movement. Behaviour in base. War is a man’s game – it is a unique experience for us all – we are ambassadors for our country – therefore as we are a small group our behaviour both good and bad is noticed – be on your best behaviour in this base – obey the rules – take it easy – act like grown men and enjoy yourself without going overboard – don’t touch arms or ammo, pyrotechnics etc as they could lead to death – don’t steal vehicles. Only by being well behaved will we win the respect and admiration of the other companies and the Australians. Rumours – don’t spread them. Identity discs to be worn at all times”. We didn’t have to wait long before being deployed again – all of two days! The operation was called Bluewater and the AO called Drury. The idea was for the battalion to keep a company in the area between December 30th and January 7th 1970. On the 30th we were airlifted into a landing zone (LZ) on the Suoi Lo O Lon from whence we began to search to the northeast. We had been led to believe that up to 100 VC had been sighted in the area. Well, after three days of continuous movement and no sign of recent VC occupation we were extracted to Nui Dat. We all felt that we had been on a three-day route march and were looking forward to the belated celebration of Christmas and New Year on 1 January 1970. Our base element looked after us very well. There was plenty to drink and a great range of excellent food. Sgt Ted Gorman had mentioned to me that he had a couple of turkeys in the oven for our festive season lunch. Two turkeys for 120 hungry soldiers didn’t sound right so I asked him why so few turkeys? He invited me to the kitchen to have a look at the American birds in the oven. There before me were the biggest turkeys I have laid eyes on – there was only room for one per oven. And yes, there was plenty of turkey meat and other goodies to go around. We all had a very relaxing time and Paul Edmonds the NZ Ambassador in Saigon joined us for lunch. Even had some Deep Cove beer that wasn’t too bad! Our next deployment commenced January 10th and was named Operation Napier. On that day we air assaulted into a LZ in preparation for a battalion cordon and search of Ap Ngai Giao village on Route 2. By last light on January 11th the cordon had been closed and a detailed search of the village had been started. We were part of the outer perimeter and never got the opportunity to see the village or any of its inhabitants. My lasting memory of this part of the operation was slipping over crossing a stream and receiving a good soaking, including my spare clothes. As a result I spent an uncomfortable night in the cordon where we were not able to cook and carry out our normal night time routine. We heard later that the search of the village didn’t turn up anything of major significance. If anything it probably alienated the inhabitants and made them less likely to support us in the future. On the 13th we moved out of the cordon area by APC to an area to the west of FSPB Peggy. Operation Napier continued without a break to February 12th. Little did we know at the outset that this deployment would be the most action packed of our tour. Hardly a day went by without an incident involving the VC. It was also the first time that we were to suffer severe casualties to our own personnel. The first major contact was made by 3 Platoon when they captured a platoon commander of a finance platoon and killed a VC. The next day the CO 1RNZIR in Singapore, Rob Williams, made an overnight visit to our company headquarters and his training warrant officer, who accompanied him, stayed on for an extra couple of days. This was by way of a reminder that routine visits went ahead in the field despite the fact that there were a number of VC about. A few days later a Chiu Hoi (former VC soldier who had agreed to work for the Vietnamese Government) joined us. They were particularly useful in giving us guidance about VC operational techniques and interpreting the significance of installations and equipment that we discovered. But of course we couldn’t always rely on the information that they gave. It was a matter of making our own judgment as to the veracity of their advice. This Chiu Hoi was sent off to join 3 Platoon. At this time the platoons were operating independently some two to three thousand metres from the Coy HQ base which was static. The reason for Coy HQ to remain in one place was twofold. Firstly, the area that we have been allocated is not large. Secondly, a fair proportion of the area is rubber estate, some of which is still being tapped. Strangely enough we had difficulty communicating with each other in rubber with the signals reluctant to “bounce” off the rubber trees. By staying put we are able to deploy larger aerials above the rubber tree canopy. We had sufficient personnel at Coy HQ to mount a fighting patrol most days and there was never any shortage of volunteers. It was a good way of keeping everyone sharp and alert and there was always the chance of making a contact with the VC! Back in Nui Dat there was little for the Assault Pioneers to do so they were assigned to our company for tasking. Purely by chance I put them in an area that would prove to be very active and, as a result, was chided by my platoon commanders for having allotted them such a productive zone. They were allocated call sign 62 and made 13 eliminations while under our command. Our Coy HQ base location covered a natural clearing that we used as a LZ [landing zone]. A machine gun post was permanently manned and its arc of fire covered the LZ. Shortly after an Iroquois had left from the LZ two VC were seen to approach the LZ making directly for the company base. They were engaged and killed. One of them was carrying a US Army issue hand torch in near brand new condition. One of the torch filters had been hand carved in the shape of a star and his name was on a piece of paper wedged into the base. I still have that US Army/VC torch. A 24-hour truce was put in place in Vietnam to coincide with Chinese New Year or Tet as it is called. During that period there was no gunfire, no aircraft movement and no patrolling. We were pretty sure that the VC would have used the truce to move about unhindered – that is, if they knew a truce was in force! On January 28th 1 Platoon had a contact which resulted in our first casualties. During the contact a soldier threw a grenade which rebounded off a tree and resulted in four men being hit by fragments. They were evacuated to the Australian 1 Field Hospital at Vung Tau. Fortunately none of them were seriously hurt and all returned to their platoon some time later. This embarrassing accidental wounding of our own soldiers was partly offset by the fact that we captured a VC in the same action. Our good fortune wasn’t to last much longer. January 30th was a sad day for us all. 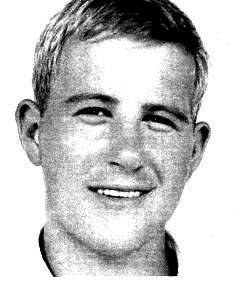 At 1120 hours Bob Upton’s 2 Platoon made contact with armed VC and wounded one. They followed up the blood trail and were ambushed by a group of about six. This resulted in two of the platoon being seriously wounded. David Wright died March 19th in Australia from the wounds that he had received January 30th and Dave McLeod was evacuated to NZ with gunshot wounds to his thigh and arm. Two VC were killed in this action. The serious wounding of two of our soldiers made us all take a reality check. I reemphasized to the platoon commanders the need for constant vigilance and careful appreciation of the situation before committing soldiers to the pursuit of VC. The next major incident involved 3 Platoon on February 8th. A VC group made contact with the last man in the platoon patrol formation. The VC had obviously mistaken our soldier for one of theirs and tried to start up a conversation in Vietnamese. Our “tail end Charlie” quickly summed up the situation and replied with rifle fire. When the firefight was over three VC lay dead. A check of the equipment and rations that they were carrying revealed Australian issue mosquito nets and ration packs. It would be fascinating to do an audit to determine how they came to have these Australian sourced items. On February 12th we were back in Nui Dat preparing for our move to the Horseshoe. I took the opportunity as soon as we had returned to Nui Dat to speak to the entire company. The notes that I wrote before the talk are as follows: “Speak for 10 minutes then invite questions. I want to talk about the two wars – a. VC b. Liquor and the consequence of over indulgence. 1st the VC. Congratulations everyone on the way you have worked on the past operation. Over 20 eliminations to the company – 30 if the Assault Pioneers total added. Own Casualties – Two. Pray that Dave McLeod and David Wright will make rapid recovery to full fitness in short time. Not a time to sit back and gloat. Overconfidence only leads to fall in standards and security. 2nd Liquor. 90% of non-operational problems stem from over indulgence in alcohol. It should be your aim, for it is mine, to ensure that as few members as possible get themselves into trouble. Blind eye turned over Xmas/New Year. As we are in an operational zone certain rules must be obeyed – drink only in the canteens provided – drinking in lines strictly forbidden”. About this time I wrote an assessment of the situation in Vietnam and this is what I penned. “We are reasonably optimistic about the outcome of the war. There are not all that many VC about now and those that are around have very low morale and exist by stealing food from the villages as a lot of them are close to starvation level. Around us at the moment are about 10-12 battalions made up of Aust, ARVN and US forces. Apparently the US and ARVN forces have next to no VC in their areas so they have come here to try and catch what few we have. The VC are expected to mount a Tet offensive any day but it is difficult to see how he can possibly succeed. We have a number of ex VC working for us as scouts. They are really amazed and naturally delighted to find out that the US and Allied Forces aren’t as sadistic as they had been led to believe”. As planned we deployed to the Horseshoe Hill on February 15th. This heavily defended hill feature some 15 kilometres SE from Nui Dat was to become our home for the next six weeks at least. 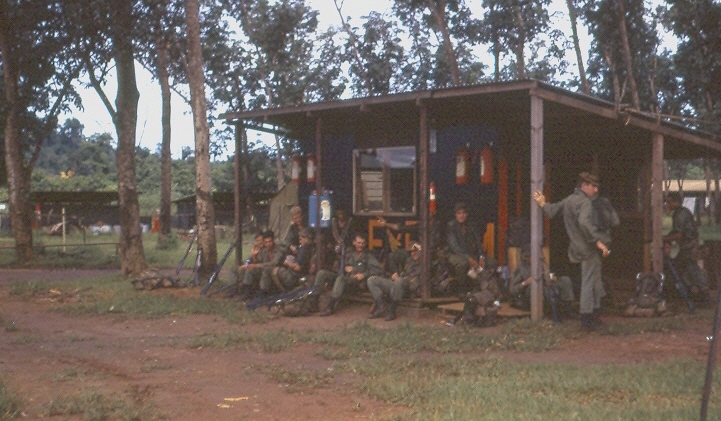 Besides being responsible for its defence we were to undertake the training of ARVN soldiers – something very different from the routine patrolling and ambushing that we had been doing. We had quite a challenge in store. The Horseshoe was a dormant volcano “horseshoe” in shape and only 80 metres high. However, as the surrounding country is as flat as the proverbial billiard table the view was unsurpassed and of course the hill dominated the surrounding countryside. On arrival we took under our wing the following personnel and equipment: A Squadron 1 Armoured Regiment (Australian) x 15 [people] with three Centurion tanks, Administration Company drivers x 2, 1 Aust Training Team Vietnam (1ATTV) x 1, 104 Signals Squadron x 3, 110 Signals Squadron x 2, 131 Divisional Locating Troop with locating radars x 13, US Searchlight team x 5, 17 Construction Squadron x 1, 1 Field Squadron x 44, Support Company Mortars x 10, Interpreters x 6, Assault Pioneers x 5 and US Army 105mm tracked howitzer battery x 95. On February 18th we were forewarned to stay under cover while a spray aircraft flew overhead and dosed the area with a DDT mixture to combat the mosquitoes that were spreading malaria. I recall telling everyone on the Horseshoe about the spraying operation and it was accepted at the time as a routine anti malarial spraying mission. Some years later I was surprised to read that some of the soldiers had claimed that the spray was the defoliant Agent Orange that is linked to some serious health problems that ex Vietnam soldiers suffer. 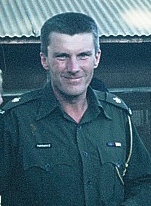 The next day Major John McGuire (V5 Company) arrived to have a look around during the course of his pre deployment reconnaissance. We were not expecting the ARVN soldiers until February 28th so we decided to undertake some refresher training on a roster basis with, at any given time, one platoon away patrolling. 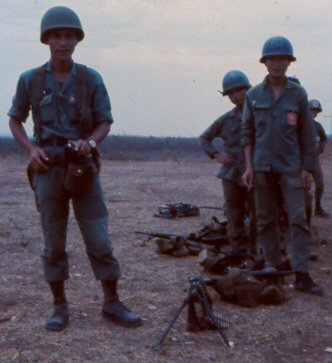 The refresher training consisted of range practices and zeroing of personal weapons and the M79 grenade launcher, dry training and shooting of the M60 machine gun, handling of flares and trip flares, firing the Claymore mines, movement and formations in open country, badges of rank of US, ARVN and Police Forces, checking of civilian identity cards and work papers and medical first aid. The live firing was conducted on a small firing range just outside the perimeter on the north side. It was very basic and had been used by a number of companies before us. The weather continued to be very hot and dry. The engineers were operating a quarry on the Hill and the dust from that operation was tremendous. We couldn’t get away from the dust and it was everywhere. A brick red film covered everything. We kept the dust moving by wiping the tables and desks constantly, shaking and brushing ones clothes and giving the bed a few whacks before retiring. Some years earlier a minefield had been laid from the Horseshoe to the coast a distance of about 9000 metres. All military manuals state that a minefield can only be effective if it is covered by sight and by gun fire. This minefield was out of sight most of the time and as a result the VC started to lift the mines and use them against us. The decision was then taken to remove the minefield. Lifting the mines by hand was out of the question so it was decided to have the Engineers use their plant and ingenuity to clear the minefield. They modified an APC to assist with the clearing. Extra plates were welded to the sides and underneath and a boom attached on which they threaded large used tyres. 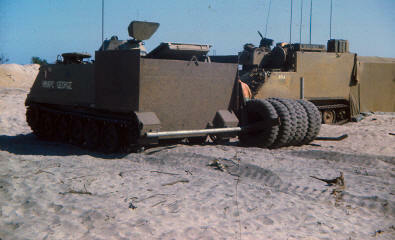 The APC moved backwards and forwards through the minefield with the mines being detonated by the tyres. From the Horseshoe we could see and hear this clearing being carried out and it continued throughout our stay there. B Company 5 Cavalry Regiment 18 ARVN Division soldiers arrived at the Horseshoe as planned and we set about to train them for operations against the VC. They were all very “green” and apart from their very young commander who had been trained at the Dalat Military Academy in Vietnam their military knowledge was minimal. We decided that the best way to teach the ARVN was to integrate our soldiers into their organisation and to show them by example. This method of instruction soon paid off. 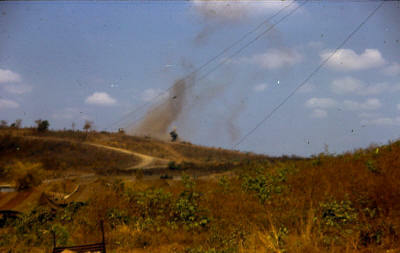 The ARVN platoons had two very successful contacts when ambushes set up on nearby tracks were initiated. Their morale took a leap with these successful operations and they were keen to prove that they had the making of a competent unit. The Task Force Commander was keen to prove that that it was feasible to move a force north of the Nui Dat base in APC’s avoiding the main r oad known as Route 2. He saw the requirement to return the ARVN Company to their base at Xuyen Loc as an ideal opportunity to test whether an alternative route was possible. I was given the task and set about to plan our move that we estimated would take five days. During our overnight stops aggressive patrolling and ambushing would be routine. My lasting memory of the trip was seeing soldiers being knocked off the backs of APC’s by overhanging branches, being for ever tossed about, the constant replacement of thrown tracks and the remarkable outcome being that no one was killed or seriously injured. We got to our destination having had some successful overnight contacts on the way. The ARVN Company was on a high and most grateful for the training that they had received. We heard later that they had had a very successful first operation in which they eliminated 64 VC without any own casualties. Fortunately, we were allowed to return to the Horseshoe via Long Binh where we made an overnight stopover. The American base had a perimeter of about 80 kilometers and included three airfields. We had never been in such a vast establishment and we were all eyes and ears. The Americans were very generous and plied us with clothing and equipment that we had only dreamed about. They explained that once military items leave the continental US they are “written off” so they could afford to be generous and there were no soldiers more deserving than their Kiwi and Aussie mates! Our month of training and operations with the ARVN had gone off well but it wasn’t without incident. 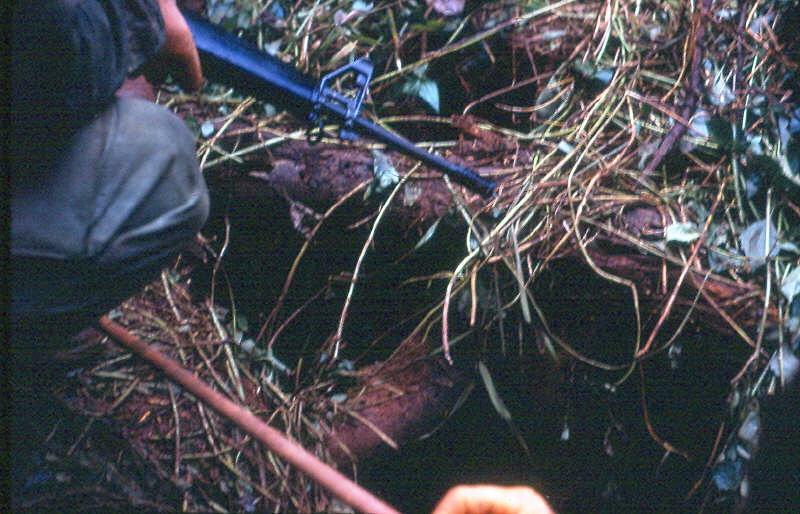 On March 11th an unexploded M79 grenade on the makeshift firing range was trodden on by one of the ARVN soldiers. Two ARVN soldiers and one of our own received minor shrapnel wounds and were medevac'd to Vung Tau to 1 Aust Field Hospital. They all returned to duty within a few days. In another incident an ARVN soldier lost part of a finger as he sat eating his meal in the ARVN mess tent. How he came to lose part of his finger was a complete mystery. His company commander, through the interpreter, told me not to worry as the soldier had probably cut off the finger so that he could be repatriated home. The soldier was in good spirits and he didn’t want to make too much of the incident. A short time later word came through that one of the soldiers manning the machine gun overlooking the entrance to the Horseshoe had had an accidental discharge during routine maintenance of his personal weapon. The CSM Doug Mackintosh and I did an investigation of the unauthorised discharge and came to the conclusion that the bullet had been responsible for the loss of the finger. We located the small hole in the side of the tent where the bullet had entered and from the line of trajectory assumed that the bullet had ended up embedded in the ground. I charged the soldier responsible and to this day we are thankful that no one was killed. With the ARVN gone we got back to the routine that we had prior to their arrival. One platoon would be out on patrol/ambushing, one platoon securing the feature and one platoon on other tasks like providing protection for the engineers doing the minefield clearing. We were getting tired of the Horseshoe with its dust and the boredom of manning sentry posts. We were approaching the two-month mark, which was a longer period than any other Company had had on the feature. Nevertheless, we kept up the intensity with our operations and were rewarded with some successful contacts. In one very successful ambush 1 Platoon eliminated 5 VC who were part of a resupply party making their way towards Dat Do. We were very pleased to see the advance party of C Company 7RAR who had been assigned to take over from us. 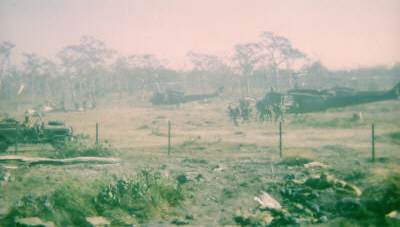 We were looking forward to rejoining 6RAR for the last part of their final operation in Vietnam. We left the Horseshoe on April 15th and the next day we were aboard APC’s heading 75 kilometres to the southeast to join 6RAR. It was very hot and dusty so we were pleased that we didn’t have to walk! It was forecast that it would stay very hot (5-10 deg C above normal) until the start of the rainy season next month. The operation was called Townsville in AO Auckland and yet again we thought that we were being sent on a wild goose chase well away from where other elements of the battalion were operating. As it transpired we had a very active few days. Some weeks earlier I had been shown an overlay of the province with all the contacts/incidents marked on it. It was interesting to note that a lot of the contacts had been taking place in the same areas and therefore those locations might be worth looking at again. When we had taken the ARVN Company back to Xuyen Loc we had spent a couple of days in the Courtenay Rubber patrolling and ambushing spots where there had been earlier contacts. This technique had proved very successful. Therefore, I decided to give it another try on this operation. When we reached our operational area I directed the platoons to areas of earlier activity. In no time at all we were onto a good thing and all the platoon commanders were delighted with my crystal ball gazing! We even had an incident where enemy escaping from a platoon contact were engaged by elements of another platoon. The troop of APC's stayed with us in the Coy HQ static ambush location while the platoons patrolled on foot. One moonlit evening an USAF “spooky” aircraft was overhead. 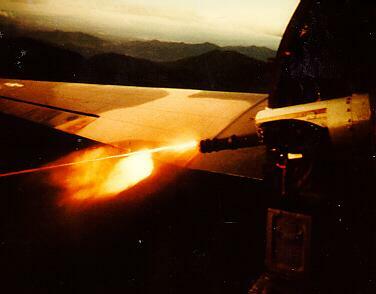 These aircraft were assigned to roam the skies looking for enemy targets to engage with their Gatling type guns. They could rain down a wall of bullets that would be disastrous to anyone without overhead protection. We couldn’t believe our ears and eyes as a hail of lead rushed towards us and pinged off the armoured plating of the APC's. It took some time to get a message to the pilot that he was engaging friendly forces. When he realised his mistake he was mortified. He had become disoriented and thought that he was firing into an area some ten thousand metres away! Luckily we were all able to take cover in the APC's so no one was hurt. We heard later that the pilot was court-martialled and sent back to the USA in disgrace. On the night of our return to Nui Dat we had the V4 Company officers and senior NCO over to our lines for a drink. We took the opportunity to farewell them and catch up with the advance party of the new V5 Company. The next day we paraded with 6RAR and heard the CO, Lt Col David Butler, make his farewell speech. There were over 1000 men on parade so it made for quite an awesome sight. We had an early start on ANZAC Day for the dawn service which was followed later by a parade for the Task Force Commander to officially farewell 6RAR from Nui Dat – quite a lot of parades in a short space of time. Then the next day something very different - we were Reaction Company. This meant that we had to be ready to go at 15 minutes notice to anywhere in the province. Fortunately we weren’t called out so we were able to stand down for a couple of days before taking off to the Badcoe Club in Vung Tau. At the end of our first six months in Vietnam we had spent 10 weeks on operations, 9 weeks on the Horseshoe, 2 weeks on operational preparation, 1 week as the Ready Reaction Force and 3 weeks on stand down/ Vung Tau/ Nui Dat. What was in store for us during the next six months? more: "Ops while with 2RAR [May until Nov 1970]"